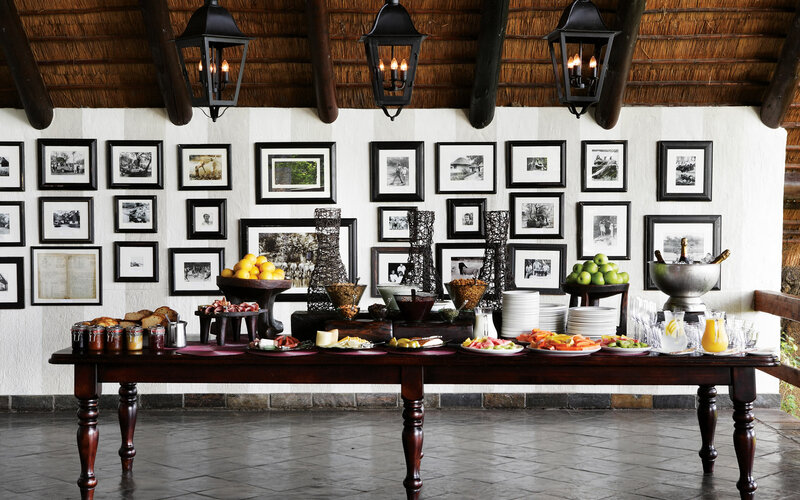 Iconic Africa’s relationship dates back decades with the Varty family and Londolozi. After so many years of support and so many happy memories there, we are proud to feature Londolozi as our property of the month. Terri not only has been going there for the last twenty years but she even got engaged there and John had two very memorable years there as a game ranger. Not to mention the fact that it was on one such unforgettable Londolozi safari that John drove Terri and her family and, through their mutual love and knowledge of Africa, they conceptualised Iconic Africa. We’d like to highlight and showcase the special place Londolozi has in our hearts so that hopefully one day it will have one in yours too. Watch the video below to get a feel for the absolute magic that awaits you at Londolozi. These are Einstein’s words. 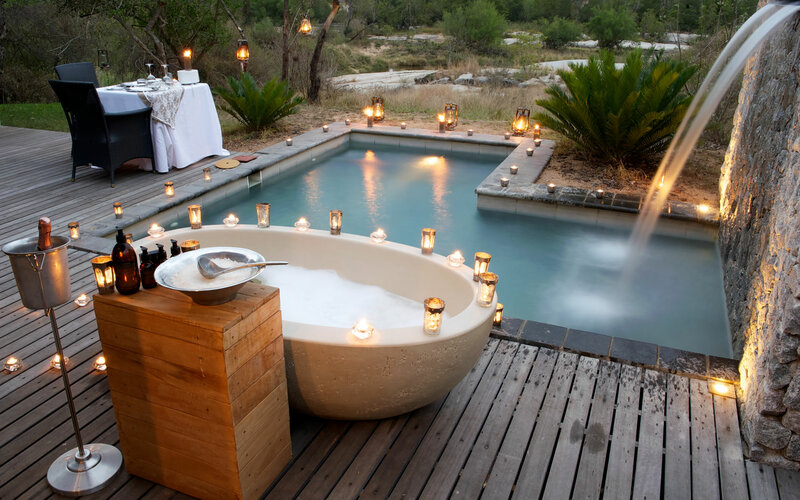 In Conde Nast Readers’ Choice Awards 2014, Londolozi was named the best hotel in the world! A global honour of colossal proportions. Londolozi effortlessly exceeds all expectations on a luxury, hospitality, wilderness and experiential front – however when anyone who knows Londolozi well, is tasked with describing this African wonder they are immediately confronted by the difficulty of portraying the intangible. It is this indiscernible x factor, which sets Londolozi aside from the rest! Falling under the awards was another category – Top 20 Safari Lodges & Camps in Africa – and, as can be expected when you’re the World’s Best Hotel (too much emphasis? – we think not), Londolozi claimed top position. 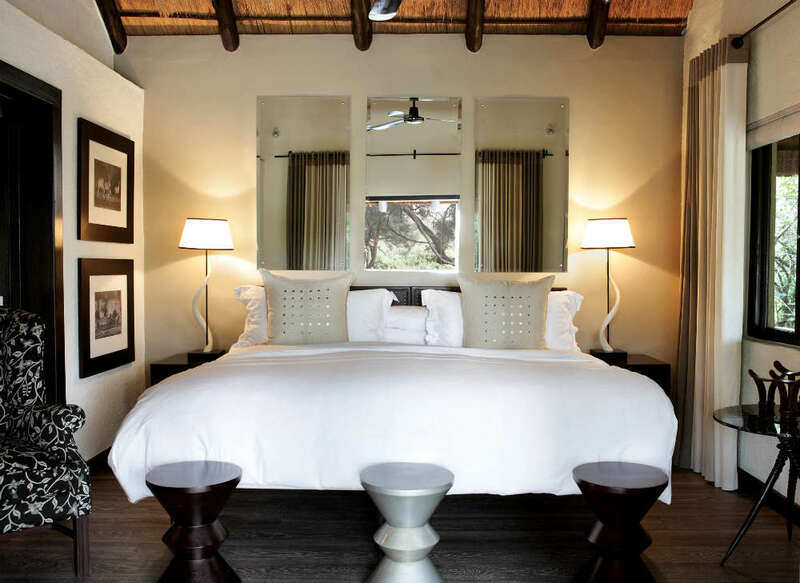 Three of Londolozi’s five lodges, namely Granite, Pioneer and Tree are Relais & Chateaux properties and these lodges are true to the elegance and attention to detail that this world-renowned signature embodies. The remainder of the five, Founders and Varty are not to be overlooked. Varty Camp is adored for its deep history and endearing charm, and Founders is equally deserving of complimentary adjectives: sophisticated, warm and classic. Awards aside – and we’ve only skimmed the surface of the property’s accolades – Londolozi’s reputation continues to soar thanks to the oldest advertising there is: word of mouth. You see, to know Londolozi is to adore Londolozi. There remains that which is difficult to pin down with mere words. But before we address that, let us first touch on the wildlife. To delay it any longer would be to ignore why everyone is drawn to this place and when we say everyone, we meant it; both those who call it home and those who travel across continents to experience Londolozi with their own eyes, their own minds and, of course, their own hearts. It’s mandatory for us to say the Big 5. There it is, we’ve said it. But let’s crack the term open and put a magnifying glass to the one member of the quintet that Londolozi is famed for: Leopards. 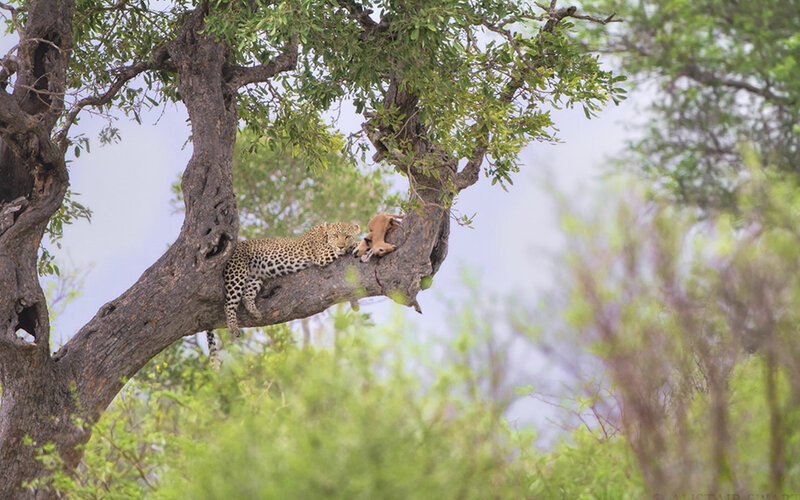 Anyone who has spent time in the African wilderness – besides Sabi Sands Private Game Reserve – appreciates that Leopards are elusive creatures. Some South Africans visit the bush time and time again and these graceful cats continue to elude them and then one day, let’s call it a Tuesday morning; they get up at sunrise and spot a female Leopard through their binoculars. It’s a brief and distant sighting – just an outline in the approaching day – but it’s enough to put a grin on their face for the rest of the week. Considering this reality, it seems almost cruel to speak of the intimate leopard sightings at Londolozi. It is common for game drives to spend an hour or two with a leopard and this familiarity extends into every aspect of the cats’ lives: hunts, cubs, mating, territorial spats… When it comes to Londolozi, calling it a Leopard sighting is misleading because the word implies a fleetingness that is just not a factor. Lions too are generous with their presence; loitering in the grass, unfazed by the vehicles they allow to share large chunk of their days whether it be lazing in the grass, chasing a herd of impala through the bushveld or rearing their young. Not to be forgotten, elephants, rhinos and buffalo punctuate game drives through this beautiful reserve. And so now, finally, let us turn to the energy that is so difficult to capture. 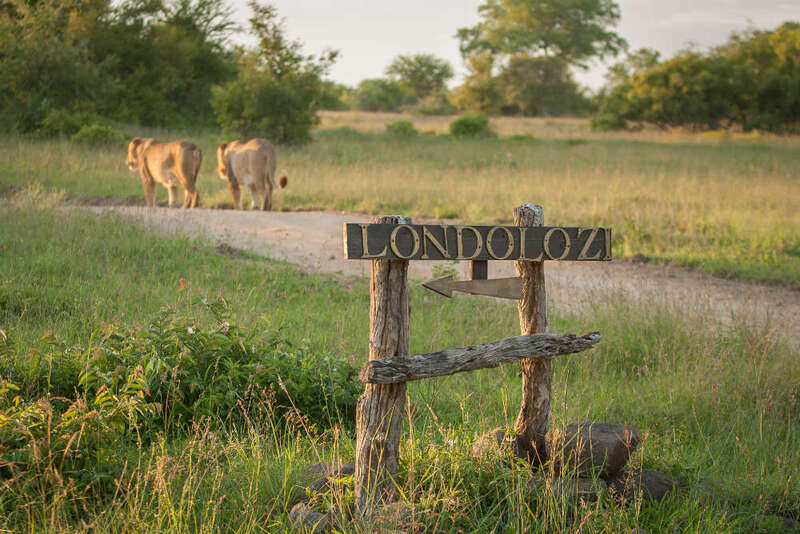 There is no better place to start than with the name: Londolozi. Derived from the Zulu word, “to protect,” John, Dave and Shan Varty took the decision to leave the farm’s history of hunting behind them and build, instead, a sanctuary for all living things. 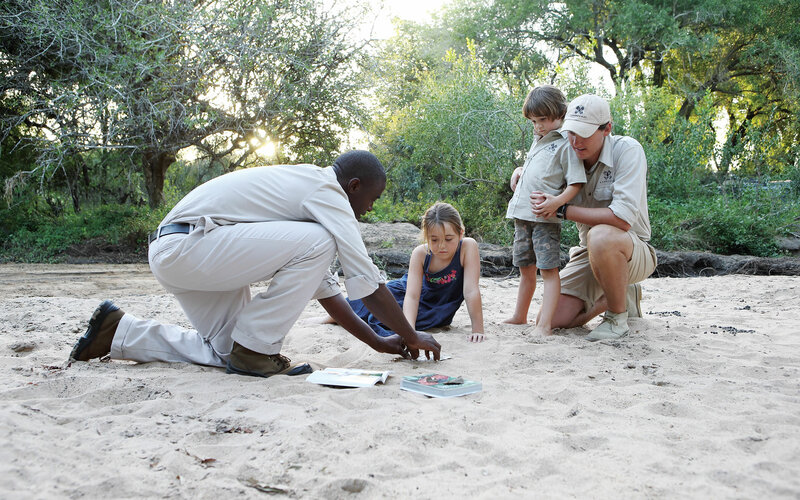 Londolozi’s pioneers did not discard the past, they evolved it and so the charm, stories and character of the property’s previous generations was cherished and passed onto their own children. Here exists one of the pillars that defines Londolozi: it is family run. Blood is not the only determining factor of that family, it branches into friendships that were forged on the land and reaches back into eight decades, encircling those that are no longer physically present yet remain nonetheless. We read somewhere that thoughts are infinite. That once formed they travel into space and time, never ceasing to exist. If this assertion is true, it can be used to explain Londolozi’s energy: Running back five generations are men and women who considered the land sacred, who sat together, after another perfect day in Africa, around an open fire with the people they loved most and ate and drank and told each other stories – sometimes the same one for the tenth time – and these moments gave birth to a plethora of happy thoughts and sentiments. The thoughts of Londolozi’s yesteryears are still felt today and they are affirmed by everyone who lives and visits the property in recent years. Ask any ex-ranger what the best time in his life has been and his answer will almost always be, “my years at Londolozi. The same is true for guests. 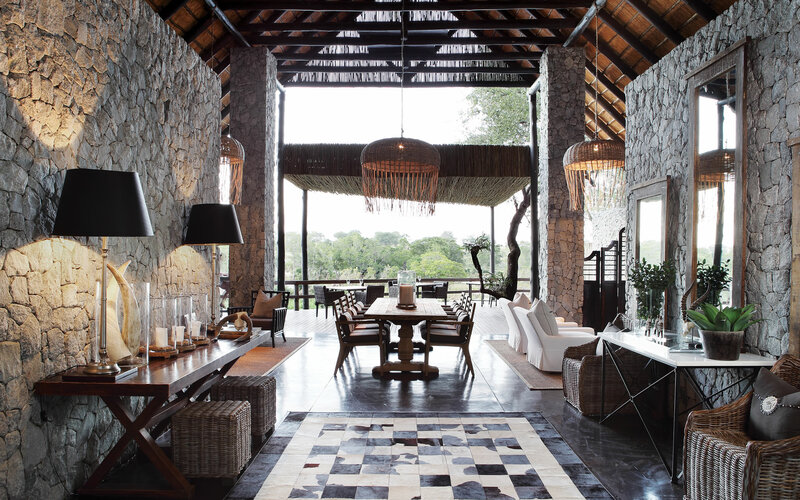 Londolozi continually shakes off other destinations to earn a position as their favourite. When everyone is, literally, having the time of their lives, the air cannot help absorb some of that liveliness. And that in itself, is the reason why you will feel, on arrival, that you instantly belong. Londolozi is a feeling! Of course, Londolozi’s absolute luxury goes without saying, however if you are to understand this incredible place and it’s feeling, you have to visit and experience it for yourself! If you’d like to come and see for yourself we promise you won’t be disappointed. Contact us now and we will craft a once-in-a-lifetime Londolozi safari for you! BUT heed our warning, book months and months (a full year or more to be on the safe side) in advance! Getting in isn’t easy! To read out five favorite blog posts from the Londolozi blog click here.